Happy National Chocolate Pudding Day (26 June)! To be honest, I have absolutely no idea who created this day – but I would really like to thank him or her for creating this day (and also the person who invented pudding) because I never, ever knew that chocolate pudding can be so easy to make, and so, so, so damn delicious. The history of pudding is really complicated – the very first pudding that supposedly originated in the 17th century was by the British, and they were more like sausages (think blood sausages / puddings). By the late 18th century, the traditional puddings no longer contain meat, and in 19th century, puddings were boiled (water bath method) and it’s more like a cake, traditionally served at Christmas time. This luscious and creamy type of pudding I’m sharing today is more commonly known as custard. However, in the 1840s, the Americans somehow start to call custard “pudding” and the name got stuck since then. Custard is usually thickened with eggs, but in 1837, an English chemist, Alfred Bird, invented custard powder (mainly a mix of cornstarch and milk powder) to thicken custard as his wife was allergic to eggs. Soon, this custard powder became a well-known alternative to egg thickeners and people soon began to use this custard powder or other cornstarch derivatives as thickeners for custards. The earliest print reference for chocolate pudding (the cake-like dessert) is in 1730, while the custard-y version dates back to the 19th century. Apparently they were only enjoyed by wealthy people then. But today, chocolate pudding is one of the easiest and cheapest desserts to make at home and can be enjoyed by anyone! 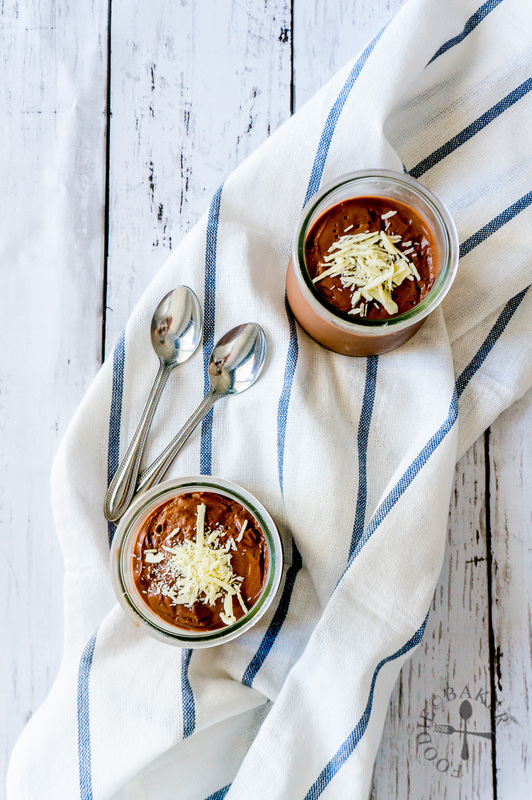 The resulting chocolate pudding is exceptionally smooth, rich and creamy, with the dark chocolate giving a real chocolatey oomph with every mouthful and an alcoholic hint at the end. 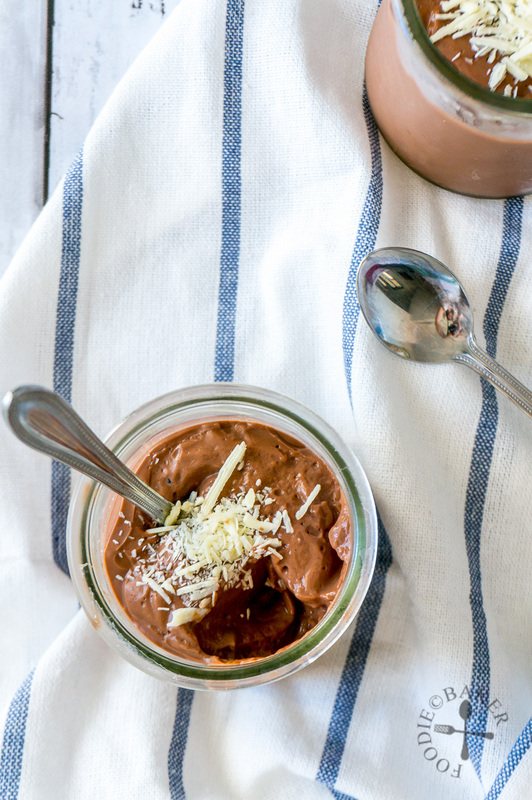 I’d probably never use semisweet, plain or milk chocolate for this chocolate pudding (as I love dark chocolate too much), but you can definitely use any of those chocolate if you prefer. Alcohol can also be omitted to make a kids-friendly version. 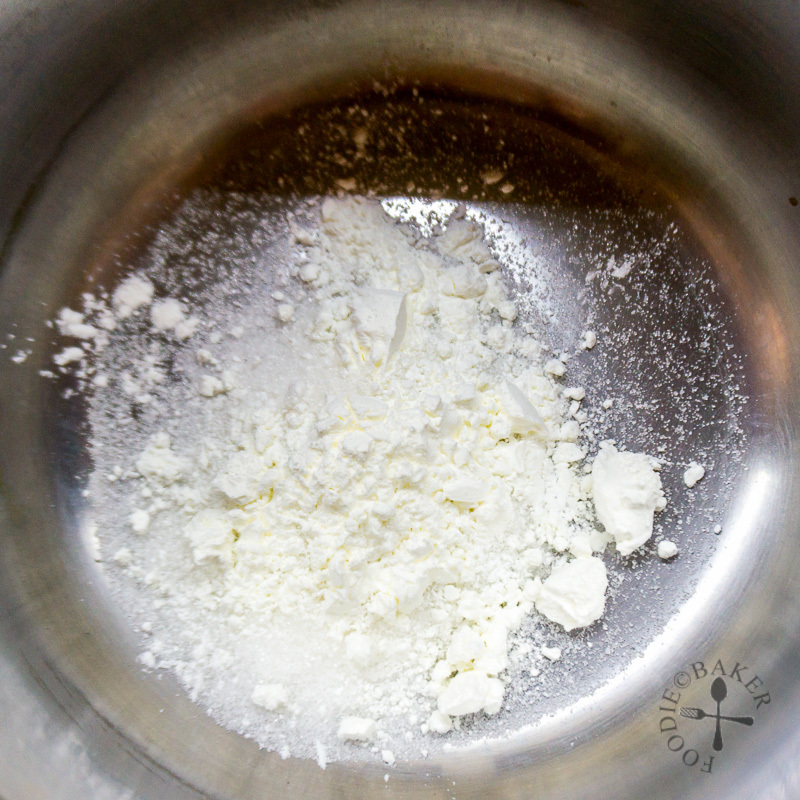 1) Place cornstarch, sugar and salt in a small pot. 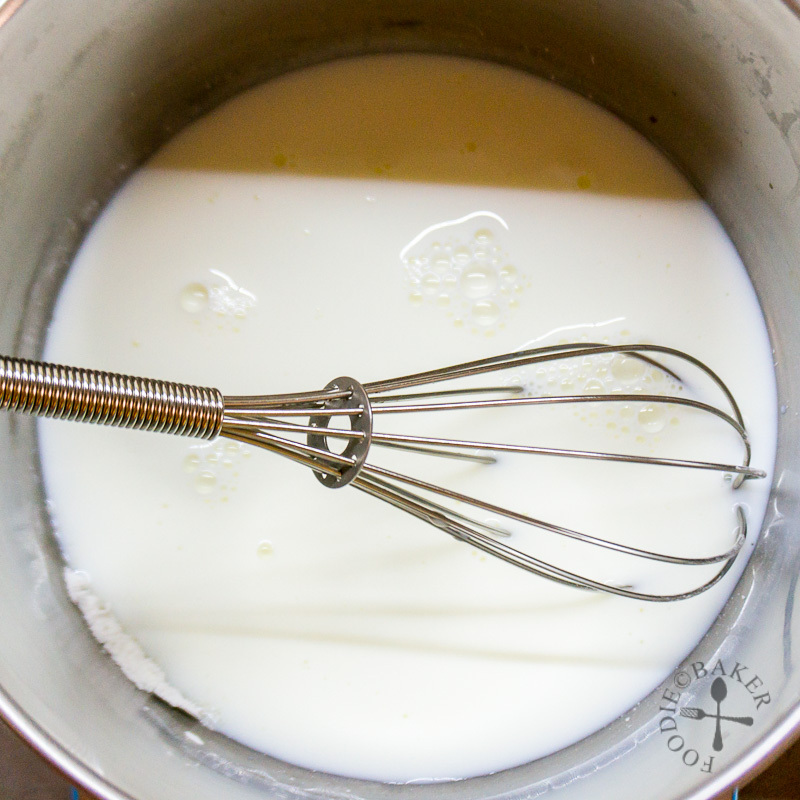 2) Add in milk and whisk until cornstarch is fully dissolved. The sugar granules won't dissolve fully but it's okay. 3) Cook over medium heat, whisking quite rigorously constantly until the mixture thickens. Whisk in the chocolate until the chocolate has melted, followed by vanilla and Baileys. 4) Divide the pudding between ramekins. Place a plastic wrap directly onto the surface of the pudding to prevent a skin from forming. Chill the pudding thoroughly before serving. Happy National Chocolate Pudding Day! Inactive time of 4 hours to chill the chocolate pudding is not included. Place cornstarch, sugar and salt in a small pot. Add in milk and whisk until cornstarch is fully dissolved. The sugar granules won't dissolve fully but it's okay. Place the pot over medium-low heat and cook, whisking quite rigorously constantly, making sure you scrape the sides of the pot from time to time. Cook until the mixture starts to simmer - bubbles will start popping from the surface. Remove the pot from heat and dip a metal spoon or spatula into the mixture - the mixture should be thick enough to coat the back of the spoon or spatula. If it's not thick enough, continue cooking the mixture, whisking constantly, until the mixture thickens. Once the mixture has thickened, remove from heat and add in all the chocolate. 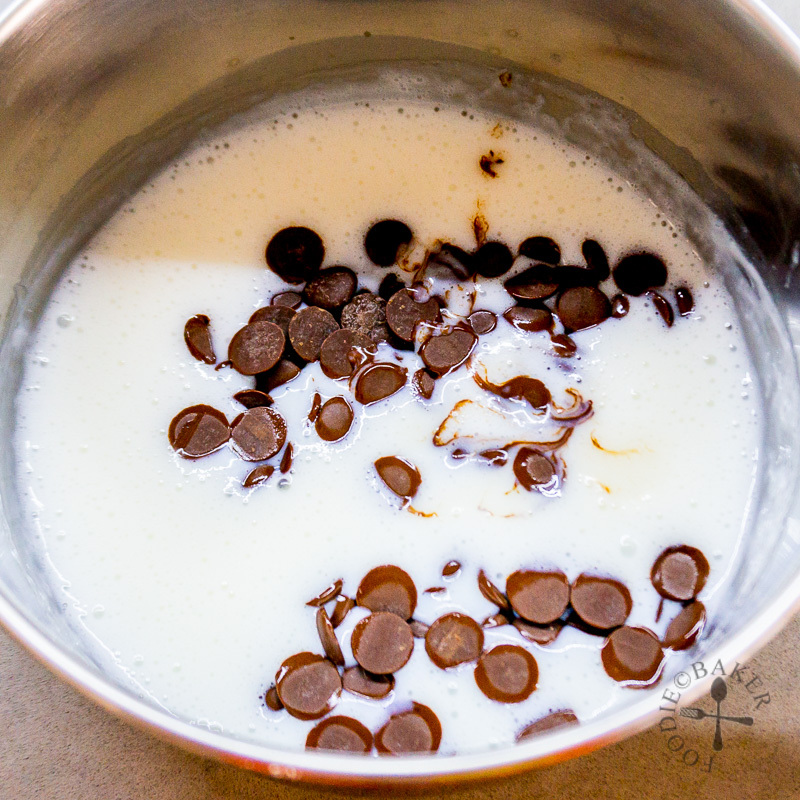 Whisk until the chocolate has melted and the mixture is smooth. Whisk in the vanilla and Baileys. If there are lumps, strain the mixture through a sieve. Divide the pudding between two ramekins. 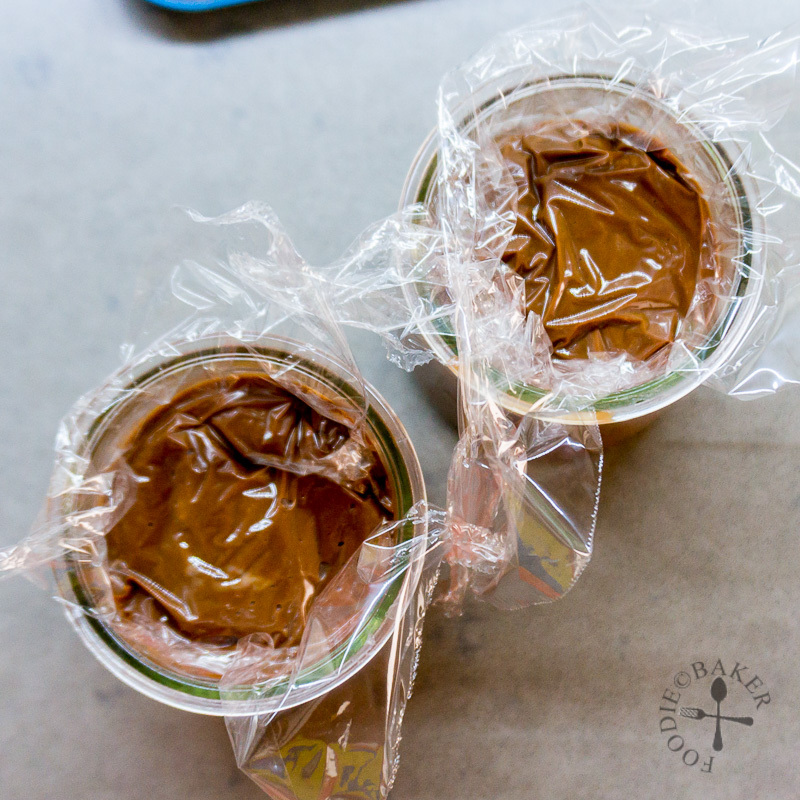 Place a plastic wrap directly onto the surface of the pudding to prevent a skin from forming. Chill the pudding the refrigerator for at least 4 hours. The pudding can be kept in the refrigerator for up to 3 days. To serve, remove the plastic wrap, decorate with chocolate shavings or whipped cream and serve chilled. - The chocolate pudding can be easily scaled up to serve more people. Do note that the more you make, the longer time you will need to cook the pudding until it thickens. - If you don't want to add Baileys, use 230 grams of milk instead of 200 grams. - The chocolate can be replaced with a mix of semisweet, plain or milk chocolate. 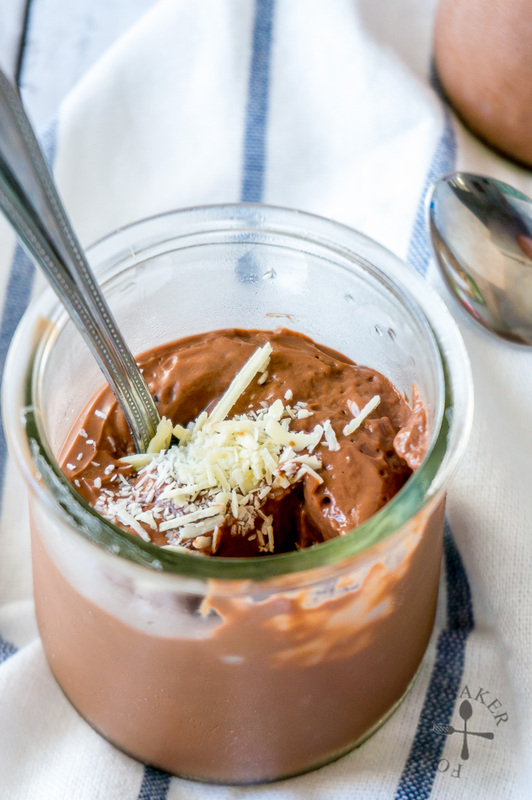 - Recipe adapted from Smitten Kitchen's Best Chocolate Pudding. What a fun day to celebrate! 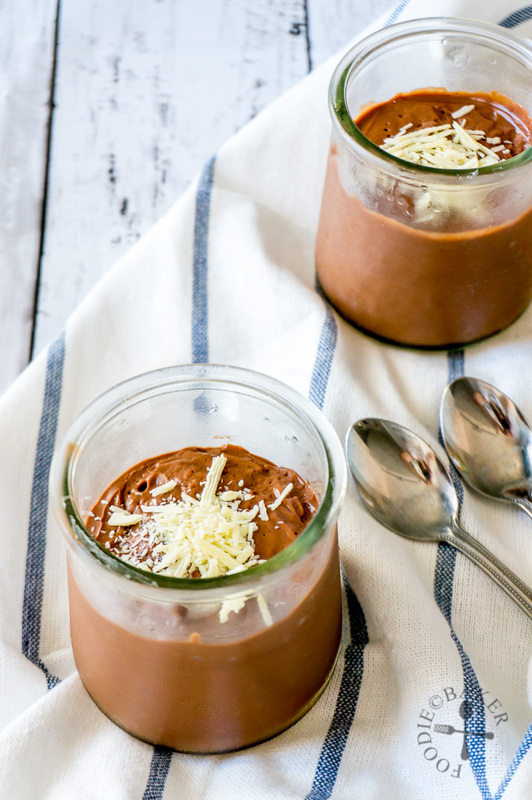 I love chocolate AND Bailey’s so this pudding is right up my alley! !